Online gambling, to a cash-hungry province, must look like a ripe piece of fruit just waiting to be plucked. The logic is easy to see. Gambling on the internet is already happening so why shouldn't a province get a piece of the action rather than watch the money go elsewhere? What's more, government oversight can keep players safe from shady offshore operators, as well as protect problem gamblers from themselves by promoting responsible gaming practices. Ontario just used those arguments before jumping into internet gambling in January. Quebec, British Columbia, and Manitoba are equally well versed in the rationale and Atlantic Canada's gambling overseer is using it right now in a bid to expand the menu of online gaming options available on the east coast. Online gambling in Alberta, meanwhile, is on its way. Alberta's gambling regulator is sifting through proposals from companies vying to run the province's internet gaming business. It expects to make a recommendation to the provincial finance department in the next few months. "We thought it was time to look at it," says Bill Robinson, the head of the Alberta Gaming and Liquor Commission. "There's quite a heavy play in Alberta … that's money that goes offshore, that's money that leaves Alberta, and also [offshore] sites don't offer the same type of experience that we're hoping to provide Albertans in terms of security." The itch to get a slice of the gambling pie isn't new. When changes to the criminal code legalized lotteries in the 1970s, provinces found themselves wondering the same thing as today — if everyone else is doing it why shouldn't we? It's a fair consideration. If online gambling is an economic win for a province then the case for getting up and running on the internet becomes that much more compelling. So what do the numbers say? Is online gambling a net benefit to a province's economy or not? Let's use Alberta as an example. The province's gambling regulator estimates that Albertans are spending $120 to $150 million a year at offshore gaming sites. That figure isn't to be confused with the total amount of money wagered, the "handle" in casino terms, which is a much larger figure. It's the amount of money that's actually leaving the province for the pockets of offshore operators. By staying away from online gambling is Alberta, as Robinson suggests, passing up on free money? Gambling researchers say the answer to that question is more complicated than just looking at the dollars that will funnel into the provincial treasury. It may seem counterintuitive, but the numbers suggest governments can actually cost governments in the long run. "In the end, probably more money is leaving the jurisdiction than before," says Robert Williams, a professor at the University of Lethbridge and a researcher at the Alberta Gambling Research Institute. "Exactly the same thing happened with the legalization of casinos in Alberta, so why would it be any different here?" For a provincial government with dollar signs in its eyes, the good news is that numbers from around the world — in countries such as the United Kingdom, Sweden, and France — suggest the government's stamp of approval increases online gambling activity. Government-backed gambling breaks down some of the barriers to playing online — such as handing over credit card information to a grey market operator, trust that an honest dealer is running the game, and faith that winners will be paid out — because people trust their government more than a shady online site domiciled on the Isle of Man. Currently, about three per cent of Albertans, says Williams, gamble on the internet, and the amount they spend at offshore sites equates to about 0.15 per cent of Alberta's GDP. Over time, he believes that online gambling getting the provincial thumbs up will push the market into the range of $200 to $250 million. Assuming those numbers are in the ballpark, how much of that business will lead to government coffers? Given the stiff competition offered by the thousands of established gambling sites already out there he says a province can likely hope to capture a quarter of it. For Alberta, that would eventually translate into an extra $50 to $75 million a year, part of which would go to charities and the rest to the provincial treasury. Put another way, Alberta might pull in $75 million a year from online gaming, but if loses $100 million elsewhere it's a bad economic trade. "It doesn't create wealth, it's simply a transfer of money from one sector of the economy to another sector, but it's not really a good transfer because it's largely being transferred from other entertainment sectors and retail sectors that don't cause the same kind of social harm, like bowling alleys or movie theatres or clothing retailers," says Williams. "There's no social harms with transactions in those areas as there is with gambling." People only have so much disposable income, so when governments encourage more of it to flow into gambling they take it away from other businesses. "It's essentially cannibalizing other industries," Williams says. Provincial governments, of course, know what the numbers say, yet at the same time every province except for Saskatchewan now either has some form of internet gambling or has it on the way. How well those provincially sponsored gaming options stack up to offshore sites, however, is an open question. Alberta might be able to capture 25 per cent of the market, but it will still need to keep players from eventually leaving its site for greener pastures or else much of its effort will have been spent grooming players for someone else's benefit. Offshore operators have a few built-in advantages that will make that an uphill struggle. In the gambling world, liquidity matters. More players allow a site to offer better odds, more enticing promotions, and fancier bells and whistles compared to smaller operators. They can also offer single-game bets on sporting events, which is still illegal in Canada. 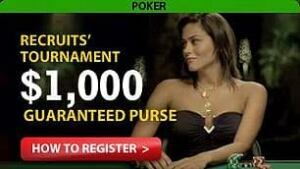 For games like online poker, size also means gamblers can count on finding weaker players when they log on. If the pool in Alberta becomes full of sharks, it won't take long for the fish to swim to the friendlier waters offered by the international competition. When it comes to potential liquidity Alberta, unlike offshore sites that can draw players from the entire world, is limited by its provincial borders and whatever deals it might strike with provinces such as B.C. and Manitoba. Amarillo Slim, a legendary poker player, once offered gamblers some free advice: "If you can't spot the sucker within the first half hour at the table, then you are the sucker." It's a gambling truism that Alberta and the other provinces, it would seem, would do well to consider before pulling up a chair.